Mayor Chris Cerino called the meeting to order at 7:33 p.m. In attendance were Councilmembers David Foster, Linda C. Kuiper and Mauritz Stetson, W. S. Ingersoll (Town Manager), Jennifer Mulligan (Town Clerk) and guests. Mayor Cerino asked if there were any additions or corrections to the minutes of the Mayor and Council Meeting of March 18, 2019 and the Special Meeting of March 27, 2019. Mr. Stetson moved to approve the minutes of the Mayor and Council meeting of March 18, 2019 and Special Meeting of March 27, 2019 as submitted, was seconded by Mr. Foster and carried unanimously. Mayor Cerino stated during the March 27th Special Meeting that he called an executive session to order at 5:03 pm on March 27, 2019 for a personnel matter under General Provisions Article §3-305(b)(1). In attendance at the meeting were Councilmembers David Foster, Ellsworth Tolliver and Mauritz Stetson, along with W. S. Ingersoll (Town Manager) and Amanda Miller (Finance Director). The Mayor and Council interviewed two (2) candidates for the position of the Marina Manager. No motions were made or passed. The meeting adjourned at 6:03 p.m. and went back into the regular session of the Special Meeting which was adjourned at 6:04 p.m. Minutes were taken and are part of the record. Mayor Cerino stated that total operating funds on hand for unrestricted use was $1,047,492.92. Restricted funds for the Marina were set aside in the amount of $2,553.42. Ms. Jillian Cordova, Partnership Specialist of the United States Census Bureau, was present to discuss the 2020 Census. She said that earlier in the day she attended the kick-off of the census at the Senate Building in Annapolis, where Governor Hogan appointed a committee to work at the State level to ensure that a complete and accurate count for the 2020 census was achieved. She said that in 2019 alone, Maryland received over $13 billion dollars based on census data. This would be the first electronic census where codes would be issued through the mail for residents to report their Census information. If information was not received electronically or by phone a set of mail-in cards will be issued and if the mail card is not received by the census, then a census employee would be sent to the property. Ms. Cordova stated that Chestertown looked good moving into the 2020 Census. She said that the 2010 Census and the American Community Survey (done every 5 years) both had good response rates. She said that rates above 20% of population were good numbers and Chestertown came in at 20.8%. Ms. Cordova stated that nationwide there is an undercount of families with children under the age of 5. Chestertown had 2.5% of children under the age of 5, but that was the reason it was important to get into the schools to have an accurate accounting of youth in Chestertown. There was a 28.43% population over the age of 65 according to the last census so making sure that the elderly have access to the internet during the reporting timeframe was important. She said that the College also played a big part in the census as students had to report they were living in Chestertown. For census numbers to be counted properly, a person is to report where they are living on April 1, 2020. 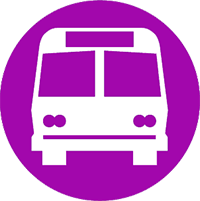 Ms. Cordova stated that it was important for community involvement in this process and said that she hoped a “Complete Count Committee” would be formed in Chestertown or Kent County. Ms. Cordova stated that answers provided in the census were not shared and were only used to see that resources were distributed fairly in communities. Employment for census workers was also available and information regarding positions with the Census could be found online. Training will begin in May and work will begin in August. Pay begins at $17.00 per hour plus mileage. Ms. Sabine Harvey was present and stated that the Farmers Market was running well. She said that she attended a training with the Maryland Farmers Market Association for a program that allows matching funds for food stamps, EBT or WIC cards. Ms. Harvey stated that customers can swipe their cards for the amount they wish to spend on an I-pad provided by the Farmers Maryland Farmers Market Association and then they will be given tokens to use as payment for produce at the Market. She said that her first deposit from the State is going to be $500.00. The Farmers will return the tokens at the end of the Market and are then paid for their produce. Ms. Harvey stated that she would meet with Social Services to get the word out about this new program and she hoped it would be a success. She said that tokens must be made and said that she would like to look in to tokens specific to Chestertown that could also act as gift certificates for the Farmers Market or event have them available for purchase at the local shops. Ms. Harvey stated that there were 5 or 6 vendors who would like to move to the High Street of the Farmers Market and said that the sidewalk was 12’ wide, which was 2’ wider than the tents and a planting bed spilled over in the sidewalk on one side. Also, the vendors must park parallel on High Street making it almost impossible to set up in that location. She said that if the vendors went on the lawn along High Street the planting bed’s size became an obstacle. She said that the logistics made it difficult to move to High Street. Ms. Harvey stated that the pop-up tents were 10’ x 10’. Mr. Stetson asked if the tents could be put on High Street in the road. Ms. Harvey said that would be dangerous and the only way that could occur was if High Street was closed during the Farmers Market. She said that the difference on the Park Row side was that there was diagonal parking of trucks and tents can partly go into the street. The planting bed was still an obstacle to overcome. She said she liked the idea of High Street being closed during the Farmers Market, but she did not know if the shop owners would agree. Mr. Ingersoll stated that the Council would have to speak with the High Street merchants before any decisions were made to close the block during Market hours. He said that he floated the idea a few years ago but did not receive many positive responses. Mr. Ingersoll asked if Ms. MacIntosh or the DCA would ask if the merchants would agree to a trial closure of High Street during the Farmers Market. Ms. Kuiper stated that she could ask the businesses on High Street this Saturday. Ms. Kuiper stated that she discussed a large pothole on Park Row with Mr. Sipes as she knew it was an issue and Mr. Sipes explained that the pothole was on a list to be fixed. Ms. Harvey stated that electricity was also a problem at the Market as vendors aren’t permitted to run their trucks during the Market, but the Park does not have the right amps in place for the vendors. The trucks required 110 with 30 amps. Mr. Ingersoll stated that the park electricity was designed for period lanterns not for cooling units. He said that this type of electricity would be a major expense and there would be electrical cords running over sidewalks on the park which become a liability. He said that he also did not believe that electric should be free to vendors. He said that where the vendors who need electricity are located, along with where the electricity was located would have to be addressed. Ms. Harvey stated that liability because of the cords was an issue and said that this year for the Tea Party she was buying what looked like a threshold to keep cords from becoming a tripping hazard. Mr. Foster asked how many vendors would require electricity. Ms. Harvey stated that there was a vendor selling meat, a person selling chicken and she would like to see a fish vendor in the future. Ms. Kuiper stated that if revenue was maximized they could at least get an estimate on the cost to upgrade the electricity. Ms. Harvey stated that she now has a vendor Wi-Fit password protected system in place for the Market. Ms. Kuiper stated that the artisans started back at the Market on Saturday, March 30th. Ms. Harvey stated that she submitted the Tea Party Festival Permit for this year and explained changes and additions from previous years, noting that the Festival will end at 4:00 p.m. on Saturday this year. She said that there would be some new performers and Sumner Hall was playing a large role in the Festival. Mr. Foster moved to approve the 2019 Tea Party Festival Permit as submitted, was seconded by Mr. Foster and passed with 3 in favor, Ms. Kuiper abstained because she was on the Tea Party Committee. Mr. Frank Hurst was present to discuss this year’s spring bocce season. The season will begin on Tuesday, April 16th and end on Tuesday, June 25th. Play begins at 6:00 pm on Tuesdays and Thursdays. The Bocce Ball will be held on Tuesday, June 25, 2019. Playoffs will not be structured as they were in the past, instead the champion of Tuesday night plays the champion of Thursday night at the Bocce Ball. Mr. Hurst stated that last year there were 325 participants and he anticipated 350 participants this year. Mr. Hurst presented the Council with the Bocce budget. He said that the league is making a one-time investment to improve the fields at $4,330.00. He said that he was working with Mr. Sappington on the improvements. Grass will be patched as needed. He asked that when large events are held at Wilmer Park that trucks not be permitted to damage the lawn. Mr. Hurst stated that a volunteer from one of the bocce teams is going to develop and update a website containing stats and other information having to do with the Bocce League. He asked that when the site is complete a link be added to the Chestertown Website. Mr. Hurst asked that the grass be cut in Wilmer Park on Tuesdays during the Bocce season and that the Council waive the open container law during bocce season. Mr. Stetson moved to waive the open container law for Bocce, was seconded by Mr. Foster and carried unanimously. Mr. Ingersoll stated that the only thing on his report was about Downrigging Weekend and asked Mr. McMullen to discuss the permit request from the Sultana Education Foundation. Mr. Drew McMullen stated that the proposals for the 2019 Downrigging Weekend were outlined in a letter dated March 23, 2019 for closures and other requests of the Town during the Festival. The letter outlined specific uses of the Chestertown Marina docks, highlighting each dock requested and explaining what boats would be filling those slips. Mr. McMullen suggested 4 slips on the downriver side be provided for transients rather than leased. Mr. Ingersoll stated requests of this nature could be worked out by office staff, rather than outlined on the permit. Mr. McMullen agreed. Mr. McMullen asked that the crews of the visiting boats be able to use the bathroom facilities at the Interpretive Center, noting that he would be happy to pay a cleaning fee and stock the restrooms in order to do so. Mr. McMullen stated that there were some new requests to use the Marina grounds to create 3 days of food trucks, vendors and entertainment which he said would be called “Festival Village”. He said that he would like to use the entire space between the old marina office building (now demolished) and the Scotts Point Condominiums for the duration of the Festival. He said that tickets would run between $10 and $20 for that part of the festival and there will be live music at different times but not running past 9 p.m. each night. He said that they would also like use of the electric and they would supply a dumpster on site. He said that he would like to use the brick parking area at the Marina for smaller display boats. Mr. McMullen asked that the Town not issue any other permits for the Marina property during the Festival or to allow any other large functions in Town, particularly at the Foot of High Street as parking would be needed in that area. He said that they normally use of the Foot of High Street for the Festival, but this year were trying to keep the entire event on the Marina property. Mr. McMullen stated that he was attempting to work with the new restaurant on the riverfront for reversed traffic flow in the parking lot during the Festival Weekend. He asked that Water Street be closed to all but local traffic. Mr. McMullen stated that fireworks were planned for either Friday or Saturday night to be shot from the Wilmer Park. He said that for that he would need exclusive use of Wilmer Park from water to the Hynson Pavilion and asked that the Town install temporary fencing as a barrier for the fallout area of the fireworks. He asked that no other special events be permitted during the weekend at the Wilmer Park. Ms. Kuiper moved to approve the permit for the 2019 Downrigging Festival as outlined from October 30, 2019 to November 5, 2019, was seconded by Mr. Foster and passed with 3 in favor, Mayor Cerino abstained due to a conflict of interest. Ms. MacIntosh stated that she had three (3) Resolutions before the Mayor and Council that are required anytime an entity applies under the Enterprise Zone for either income tax exemptions, abatement or property tax breaks. She said Resolution 01-2019 was for KRM Construction and KRM Real Estate for one employee in a newly created position. Resolution 02-2019 and 03-2019 were for property tax credits for KIT Team, LLC. for buildings at 215 High Street and 337, 337½, 339 and 341 High Street. Mayor Cerino stated that these properties were worthy of the tax credits. 03-2019 for KIT Team, LLC at 337, 337 ½, 339, 341 High Street for property tax credits. The motion was seconded by Ms. Kuiper and carried unanimously. Mayor Cerino stated that there was still some work taking place at the Marina and said that the large boat shed has now completely been removed and the cement pad beneath it will be removed at some point this spring. Dissen & Juhn are back to fix the boat ramp. He said he was hoping that the entire project would be finished by this year’s Tea Party. 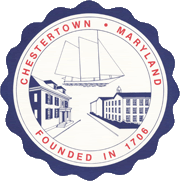 Mayor Cerino stated that Mr. Stetson requested the discussion of a name change to the Chestertown Marina. Mayor Cerino stated that liked the idea but it did not come without ramifications such as changes to branding. Mr. Stetson stated that he thought changing the name to “The Port of Chestertown” would send the message that this was a new Marina. Mr. Foster stated that he liked the idea and Rev. Tolliver agreed (via email). Mr. Stetson stated that the negativity around the Marina may go away with a new name. After discussion, Mayor Cerino stated that he would like to wait for Rev. Tolliver to be present when a vote is taken. He added that he would like to have the word “Marina” in the title somewhere. Mr. Ingersoll suggested “Chestertown Marina at the Port of Chestertown” as a compromise. Ms. Kuiper stated that she would like to name the portion of the Marina where the statue of Lucy is located to be called “Lucy’s Landing”. She said that she did not think a name change to the Marina would make much of a change overall. Mr. Stetson stated that he attended the Senate Hearing in Annapolis for the Save the Hospital Bill SB1018 on Tuesday, March 19th. He said that the Bill passed and would go a long way to retaining a full-service Hospital in Chestertown. Another hearing was scheduled for Wednesday, April 3rd for the Bill to be heard in the House. Mr. Stetson stated that when the Hospital was transferred to UMMS they had speakers come before the Council and issues were raised about how the local Hospital Board was being lost to a corporation with no local representation. He said that he worried about the UMMS Board’s self-interests being served above those of their patients and this community. Mr. Stetson stated that he attended the COG meeting and asked all those who attended to visit the Marina. He said that some of the group had already visited the facility and said they were impressed. Ms. Kuiper stated that the Quaker Neck Road 25 MPH speed limit signs have been posted. She apologized to Chief Baker for overlooking him at the last meeting as he was an integral part of the success of the request for a speed reduction. She asked Chief Baker if an officer could be posted on Quaker Neck Road for enforcement. Mr. Andrew Scott stated that the “25 MPH Ahead” sign was going to be moved 50’ closer to the Town boundary. Chief Baker stated that he would post the sign board by the new signs. Ms. Kuiper stated that the Humane Society of Kent County is hosting a “Shelter Showdown” on Saturday, April 13th from 6 pm to 10:30 pm at the Kent County Parks and Recreation Center in Worton. Ms. Kuiper stated that “Happy Chicken” opened at Kent Center on Scheeler Road to for lunches. There is a Facebook page with information on business hours and how to order food. Ms. Kuiper stated that on Saturday, April 6th at Emmanuel Church, the Kappa Sigma Fraternity is serving a $5 (donation) breakfast from 8 am to noon for a $5.00 donation. All donations will be split and given to the University of Virginia for prostate cancer research and the Kappa Sigma Military Heroes Fund which provides housing for families of wounded veterans. Ms. Kuiper stated that the Kent County Historic Society is reopening the Little Shop at the Bordley Building on Saturday, April 6th. Hours are from 10 am to 2 pm. Ms. Kuiper stated that the Sumner Hall Concert series begins on Saturday, April 13th. Ms. Kuiper stated that there is grass rolling down the hill at the Wilmer Park playscape. Mr. Ingersoll stated that new sod is installed twice yearly around the playscape. Ms. Kuiper stated that Friday, April 5th is First Friday in Chestertown. Mr. Foster stated that things were going well in the First Ward and said that the residents are pleased that the Street Crew cleaned up Remembrance Park. Mr. Foster stated that when he was in Ocean City last Monday he met with their Finance Director, Chuck Bireley, and spoke with him about the lawsuit filed by Ocean City against Worcester County regarding a tax differential. He said that Mr. Bireley told him that the Town of Ocean City sued based on changing the status of their County from a “may” to a “shall”. He said that the case was dismissed, although the judge said that there was merit on the issue of equity and implied that he would hear the case if it was refiled. He stated that if Ocean City did refile he would follow the case closely. Mr. Foster stated that he heard that several years ago Annapolis sued Anne Arundel County and that was how they finally received a tax differential. He said that he wanted to verify that information. He asked that residents show support for Mayor Cerino when he pleads the Town’s case to the Kent County Commissioners on Tuesday, April 23rd at 4:00 pm. There being no further business and no other questions or comments from the audience, Mr. Stetson moved to adjourn the meeting at 9:00 p.m., was seconded by Mr. Foster and carried unanimously.